Pihlajavesi is a lake in Finland. The area of the lake is 712.59 square kilometres making it the sixth largest lake in the country. 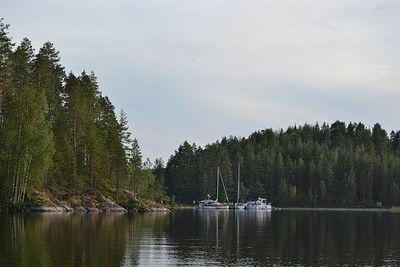 Pihlajavesi is the second-largest basin in the complex Saimaa lake system. Pihlajavesi lacks large open lake areas but has more islands than any other lake in Finland.